Update: HSC New Examination Routine 2019 has been published today 24 Feruary. This year HSC Examination will be started from 1st April. You can download the routine from below. You can read the following important tutorials for your coming HSC Examination. Dear Abdul Awal Sir, Thank you so much for HSC Exam Routine. I am really very happy to get your website. Because i am looking for HSC Routine 2019. I hope everyone will be like this. 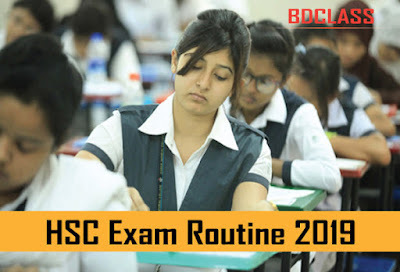 Also visit here to download SSC Routine 2019 All Education Board Bangladesh. Thanks again. Thank you so much sir for the HSC Exam Routine 2019. I hope HSC Examine will be like this. Thanks for the post. This is very helpful for all students of HSC Exams. I also look up this post HSC Exam Routine 2019. How can i get this Exam Routine first, can you tell me?